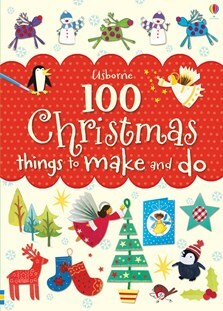 This amazing book contains 100 fun and festive projects to keep excited children occupied in the run-up to Christmas. Includes simple, step-by-step instructions for Christmassy cookery and craft projects including snowball truffles, sparkly decorations and an advent calendar. A treasure chest of ideas to help the whole family prepare for Christmas. I fell in love straight away with the colourful pages and clear step by step instructions...the variety of activities is fantastic. An ideal book to keep children occupied in the lead up to Christmas, both at home and in the classroom. The bright colourful layout immediately makes you want to try the crafts and the step-by-step illustrations (almost!) guarantee perfect results.